Absolutely No Fishing From the Balcony! No matter if we’re four or 84...when we’re told not to do something, we immediately want to. Don’t touch wet paint. Don’t walk on the grass. Don’t fish off the balcony. We’re all guilty of wanting to do what we’re not supposed to. And that’s why we all need God’s grace. In the process of being nurtured, children learn the quality of their parents’ love (security), the limits of their own liberty (maturity), and the characteristics of a healthy independence (purity). There are few things cuter than the cluelessness of children. However, there are few things more tragic than an adult living a clueless life. The last stage of marriage is that period of time when the nest is empty—either empty of the children or of one of the mates—or both. This is a critical stage in the home. All sorts of strange and unpredictable feelings transpire, and we find ourselves in need of stabilizing thoughts and direction. 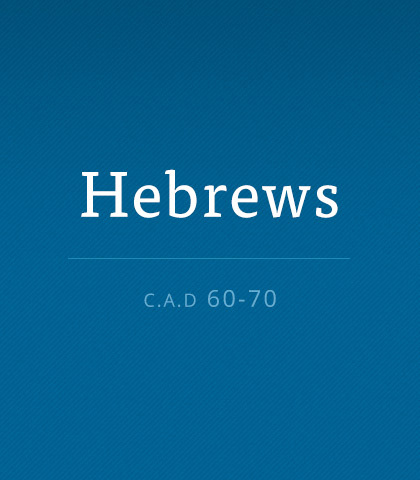 God gives that to us in this passage from Hebrews. Though it was not originally written regarding marriage, it has practical overtones that perfectly apply to the domestic scene: pursue spiritual maturity. Washing up for dinner is something we all learn as children. But in spiritual terms, there’s a banquet you’re invited to, which requires more than just soap and water—it takes blood.